You are at:Home»Blog-News U can Use»Perform vs. Buy – How to Decide? Perform vs. Buy – How to Decide? This week, Target made an absolutely brilliant move by selling off their in-store pharmacies to CVS for almost $2 Billion. According to Target’s CEO, this move allows Target to focus on what they call signature categories and really get back to their core DNA: a focus on style; those important apparel, home, and beauty categories; a focus on baby and kids; and more and more a commitment to wellness. They view CVS as the real “experts” in wellness so therefore this marriage makes perfect sense. For CVS, it significantly expands their retail presence and for Target, it gives them access to the millions of CVS customers that will need to walk through a Target store to pick up their prescriptions. This deal is nothing new. Many grocers started this practice years ago when they brought in Starbucks to sell coffee or leased part of their space to a local bank. This latest deal does bring to mind the age old question – when do I do something myself or let someone else do it for me? How do I decide? Is this service aligned with the strategic goals of the company? 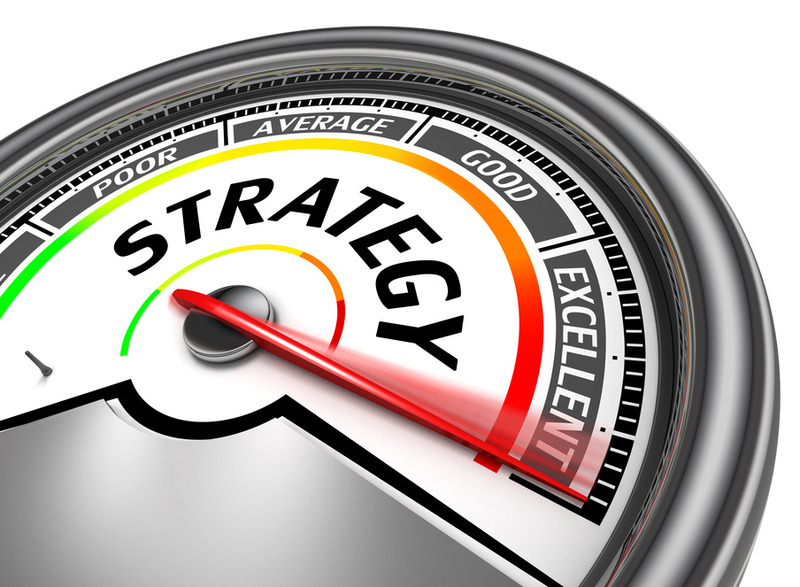 Do your customers consider this service to be a core competency of your organization? Does this service provide synergy to existing products / services within your organization? Is this service critical to delivering value to your customers? Will outsourcing this service increase security or other business risk for your organization? Can keeping this service in-house open up new markets for your organization? If answers to these questions is “YES”, then this will indicate that you may want to continue to do this work in-house. Does your organization have specific knowledge / expertise in this service? Can your organization provide a significant quality / service level differential by performing this service on their own? Can your organization provide a significant price / cost advantage by performing this service in-house? Is your organization able to attract and retain top talent long-term to continue performing this service in-house? Does your organization have particular intellectual property they need to protect? Does your organization have a unique culture that they would like to protect? Now the balancing act 🙂 !. Here is a simple model to help you sort it all out. In the case of Target, they identified “wellness” as having strategic importance to their organization and felt that CVS could provide a competitive advantage to them in the marketplace. YES!! The model and approach work. My guess is that this decision for Target was made at the executive level BUT this process of reviewing internal functions to determine if they are best done in-house or brought from a third party can and should be facilitated by the Sourcing organization. 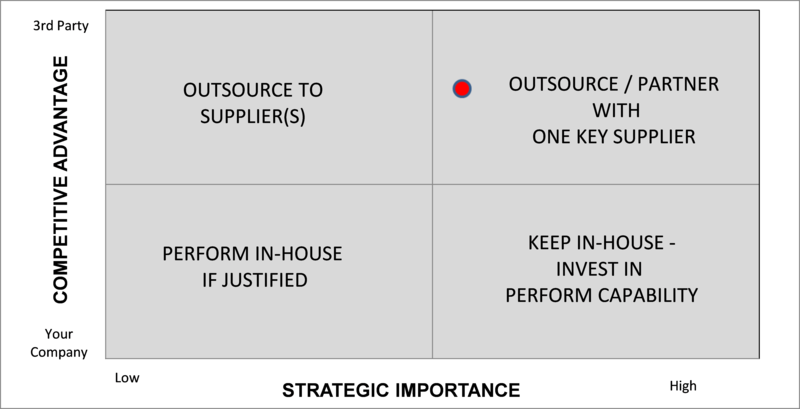 Every time you are asked to “source” a service you should be using this model to determine / validate if your company is taking the right approach. As Sourcing professionals we are constantly looking to add more value to our organization. 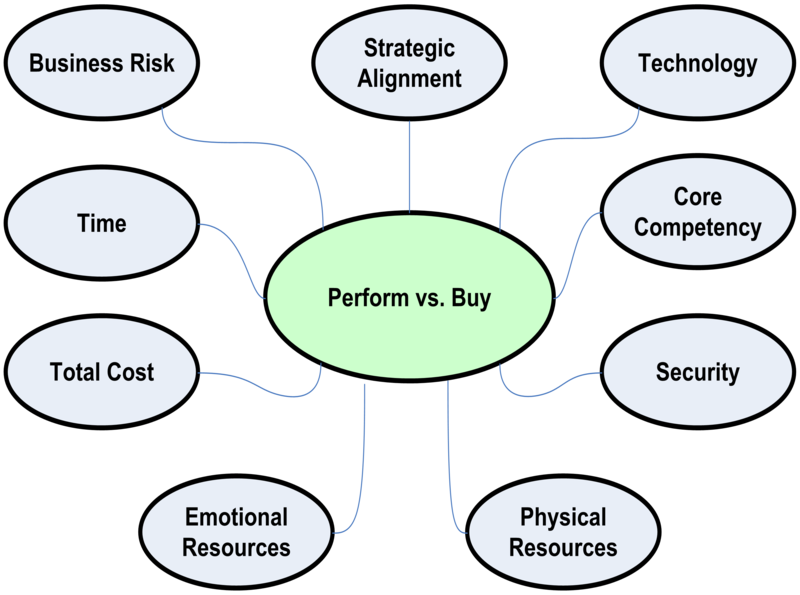 Pull out the Perform vs. Buy model and teach your organization “How to Decide” 🙂 ? Next Article How Well Off Are You?